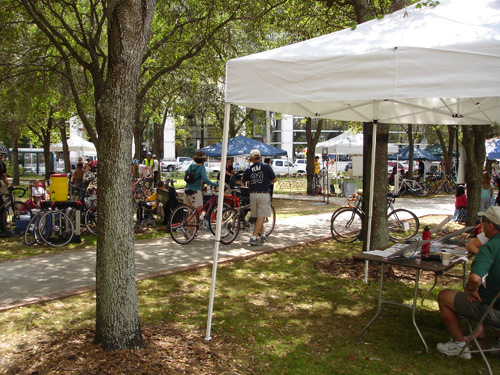 Florida Bike Month is Almost Here! 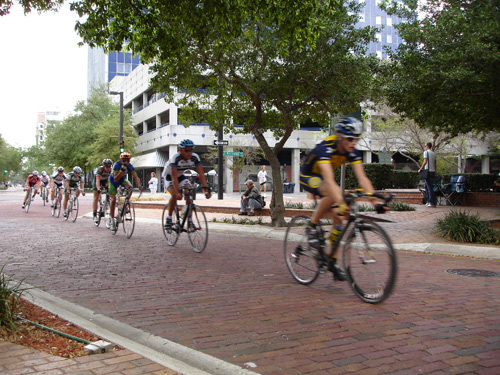 We here in Florida like to kick things off a bit early…while most of the rest of the nation celebrates National Bike Month in May, we go our own way and do things in March. 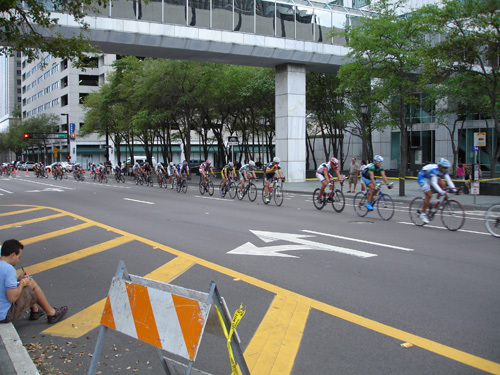 Visit www.TampaBayCycle.com or become a Tampa BayCycle Fan on Facebook for more information on all of the rides/classes/events listed. There are a lot of good events to choose from, and I’ll report on more as they are announced. There are some upcoming group “ride to work” rides, and once I locate the map and details I’ll share them with you. Also, I hope to attend a number of these events as time allows, and I’ll be sure to carry my camera along to record the details. Stay tuned! 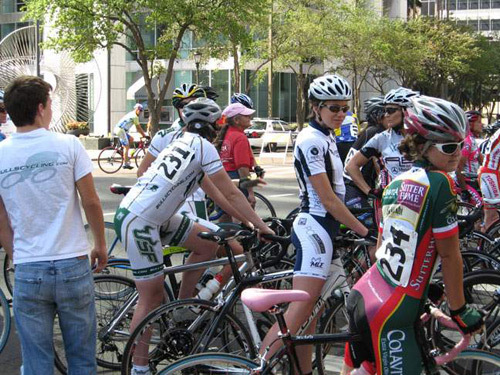 Many of us here are fans of bicycle racing…heck, we even sponsor a racing team (Mtnbikeriders.com Team — home of champions)! 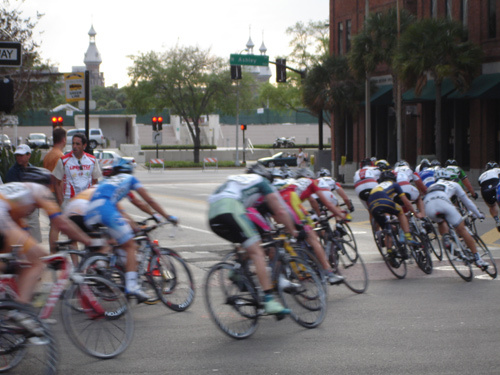 So, I was very excited to head to downtown Tampa yesterday to catch the 2nd annual Tampa Twilight Criterium. This was a day-long event, combining 10 individual racing categories and several special events for families and local celebrities. We were able to spend a couple hours there and caught the 35+ Men and Women’s 1/2/3/4 brackets. 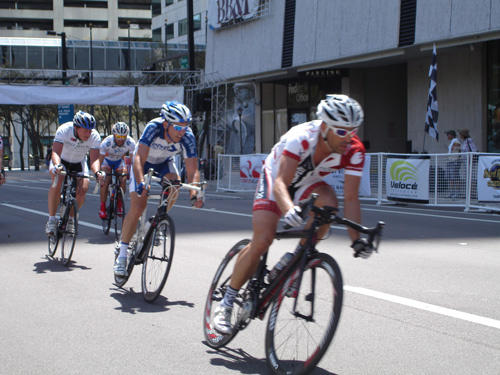 The racing action was FAST and thrilling! 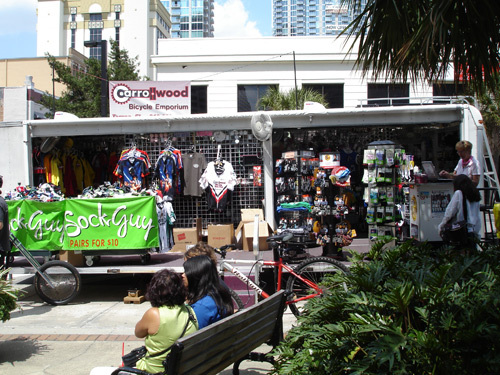 The festival was sort of a who’s who in local cycling endeavors…SWFBUD member shops, the Tampa BayCycle folks, the Tampa Bay Bike Co-op and many others were in attendance. I couldn’t walk 10 steps without running into another cycling friend or local celebrity here! 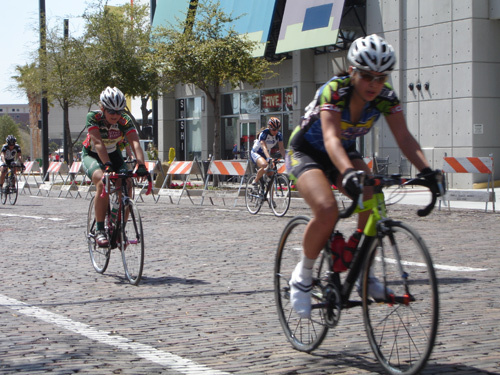 This event is an exciting addition to Florida Bicycle Month, and we’re very happy that the Tampa Downtown Partnership helps get this race brought to us here…downtown is a fantastic place to hold a criterium, and we hope this becomes an annual tradition. In fact, I’ve spent the last few hours trying to convince some friends that we need to field a team for next year’s event. Anyone feel like sponsoring a couple of 35+ has-beens? 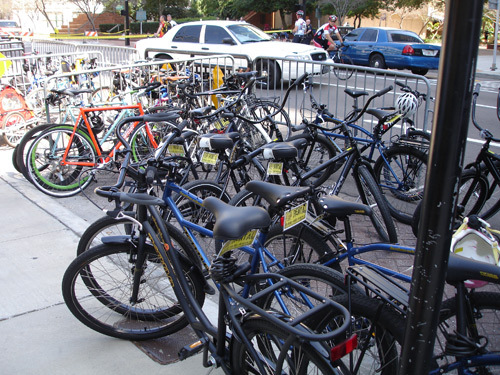 Editor’s note: I wrote the following article for our sister site The Bike Geek — and a day later we experienced some technical difficulties with that site that are still being resolved. 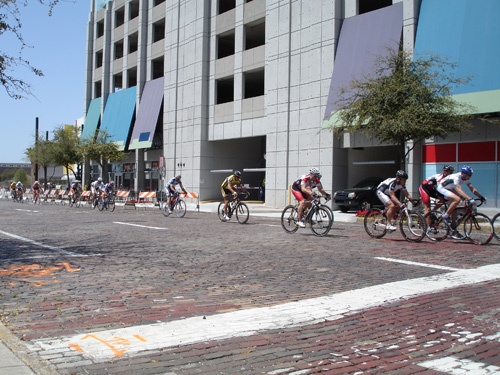 In the meantime, I wanted to share coverage of this exciting event that took place during Florida’s Bike Month — the very first criterium-style race ever held in downtown Tampa. 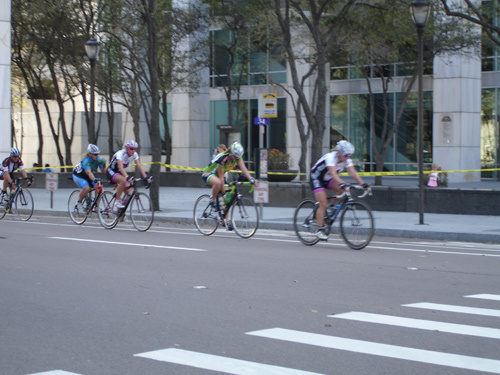 The City of Tampa played host to some exciting racing action last weekend…The Tampa Twilight Criterium. 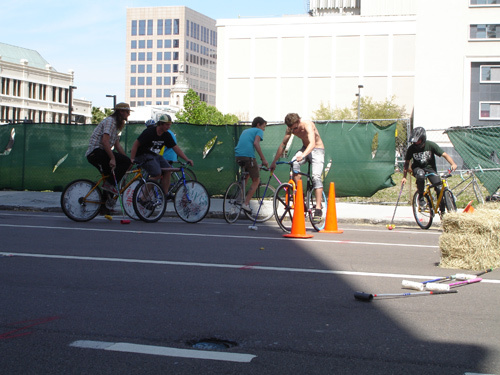 Sponsored by the Tampa Downtown Partnership, local bike shops and WAM Events, this day-long event was a blast! 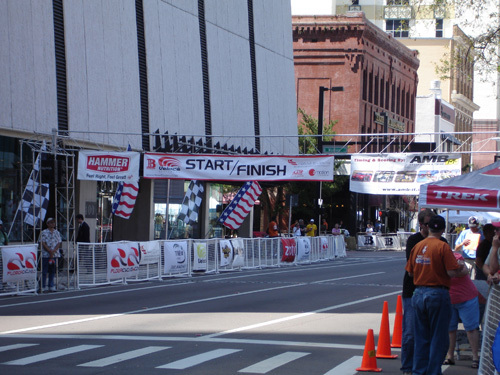 Although I had to work on Saturday, I was lucky in that the race course was mere blocks from my workplace. I was able to catch the action before work, at lunch and for an hour or so after work. 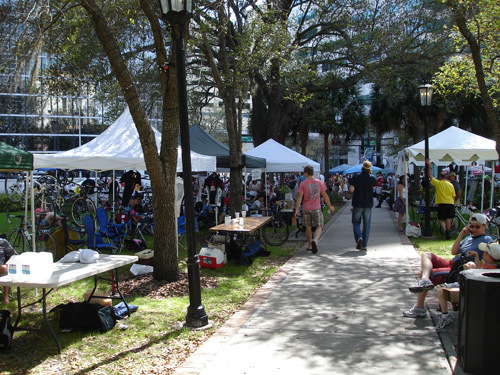 Come with me as I share photos of the races and the health and wellness festival that took place in Lykes Gaslight Square in the heart of the race course. 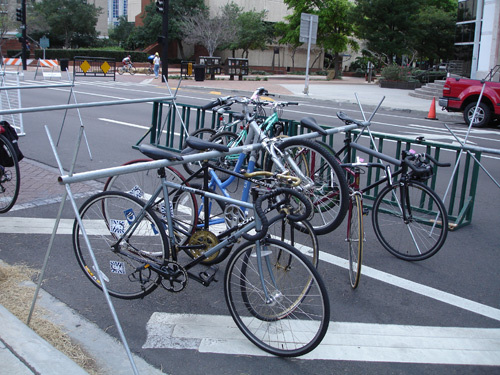 The Tampa Downtown Partnership even had free bicycle valet parking for the event, a nice touch! 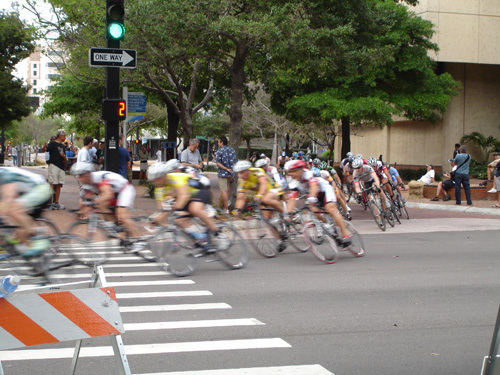 It was a great event…hundreds of racers and thousands of spectators throughout the day. 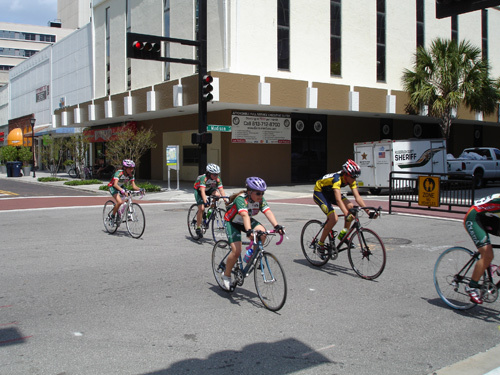 Let’s hope this becomes an annual tradition during Florida’s Bike Month!